Welcome Tim Portz as PFI Executive Director! Nominate Your Facility to be Featured in PFI Video! Pellet Fuels Institute is excited to announce that it has selected a new executive director! After reviewing dozens of applications from qualified candidates, the hiring committee chose Tim Portz, someone with a wealth of industry knowledge and a familiar face to many in our association. Tim Portz has been a renewable industry observer, reporter, and commentator for nearly a decade. As the longtime executive editor of Biomass Magazine and Pellet Mill Magazine Tim has established himself as a consistent and outspoken champion for biomass energy- specifically the wood pellet sector. During his tenure at BBI International, Tim was also responsible for developing the agendas of the International Biomass Conference & Expo and the International Fuel Ethanol Workshop, developing strong relationships with experts and vendors across those industries. Prior to his career in renewables, Tim worked in sales and sales management for RR Donnelley, a global printing company. Tim attended the University of Iowa, graduating with a Bachelor of Fine Arts. Born and raised in central Iowa, Tim, his wife, and their two sons now live in Minneapolis. Tim will officially join PFI on Tuesday, January 2, 2018. Last week, the Wood To Energy Check Off Working Group met in Atlanta to finish up the final steps before filing the program with the AG Marketing Services at USDA. The working group just completed a straw poll of the three sectors (Domestic & Export Pellet Producers and Biomass Electric Producers) to judge support to move forward. A vote of the industry representing 50+% of the number of companies and 50+% of the capacity must be achieved in order for the program to be implemented. The results of the straw poll indicate there is enough support for this program to continue moving forward. However, the results of the Biomass Electric Producers were not promising as the industry is heavily dominated by utilities that would much rather use gas as a fuel. As such, the electric producers dropped out, and the Check Off program will now be only Pellet Producers, Domestic and Export. The Check Off program is designed to raise funds to assist promotion and research of the industry. The Working Group set a de minimis level production capacity of 50,000 bone dry tons per year, so assessments for all producers do not begin until this sales level is achieved. When the program is authorized by the USDA, a 12-member independent, diversified board of directors from the industry is approved by the USDA to manage the program. This program is managed completely independent from any trade organizations. Administrative costs are limited to 15% of assessments. The initial expectation is to raise between $1.5m-$2.5m per year based on an assessment rate of 15-25¢ per BDT. This is a big step for Domestic Pellet Producers to be able to have funding that can promote our markets, provide research that defends our markets, and which will turn into market growth. Over the years, PFI has had volunteer contributions to various promotion programs, but never with any funding close to the check off program. Market growth is what all producers want. The Softwood Lumber check off program has been able to grow their market with a similar program. Rob Davis and Bruce Lisle represent the Domestic Pellet Producers on the Working Group, which is looking for one more domestic producer to join them. The Pellet Fuels Institute (PFI) has been working with the American Lumber Standards Committee (ALSC) for the past year to make necessary updates to the PFI Standards Program. As most of us know, metals testing has been a part of both the ENplus and CANplus standards programs for many years. Recent PFI work with US State agencies and groups such as NESCAUM have made it clear that it was time for the PFI Standards to also include a metals test. In November, both groups agreed to some proposed updates. As a service to all PFI members, as well as to all PFI Standards Program members, we want to share a short update. The QA/QC Handbook has been updated to reflect all changes, should you wish to view the official language of these updates. Effective January 2018, the PFI Standards will now require a metals test be conducted at least once annually. This test will be conducted in a blind fashion so as not to alert the wood pellet producer that their annual test has been completed. To keep this provision blind, auditing agencies will be alerted that they will need to invoice their subscribers for a metals test in the early months of 2018; however, the actual testing of an audit sample for heavy metals can be performed at any time of their choosing during the year. Compliant results are disclosed to the producer at the end of the year (essentially in the month of December). All non-conformances are addressed immediately with the production facility. Additional audit samples may be tested for heavy metals as outlined in section 6.10 of the QA/QC Handbook. You can view both the Standard Specification and QA/QC Handbook on the PFI website under Program Documents. Please contact the PFI office or your auditing agency should you want more information. Are you a PFI member, pellet manufacturer , or distributor that has fuel available? Email [email protected] to have your listing updated or added to the PFI website. Last week, a group of respected scientists wrote to the Guardian to argue that using wood to generate electricity in place of coal is not a solution to climate change. Their critique pointed to a "carbon debt" arising from the years between using a tree for fuel and new one growing. They gave the impression that forests are being cleared wholesale to be shovelled into power stations. Reality on the ground is, however, somewhat different. I found this out when earlier this year I went to the USA as an advisor to Drax, a power company in the UK that is seeking to accelerate the phase out of coal by using a biomass instead. On my travels I had many vivid reminders as to how forests are more than collections of individual trees. In the case of the US South, from where much of the wood being used in the UK comes from, I saw vast expanses of production woodlands being harvested for a range of products. I learned that the demand for wood has over recent decades been the main reason why the quantity of wood those forests hold has about doubled. Those managed ecosystems are taking carbon out of the atmosphere, while supplying various industries including, lumber, paper and bioenergy. I saw how, at the level of the landscape, there is no carbon debt. Using wood pellets for home heating fuel reduces greenhouse gas emissions by more than half over fossil fuels and natural gas, according to new research from the N.H. Agricultural Experiment Station at the University of New Hampshire. John Gunn, research assistant professor of forest management and researcher with station, and colleagues with the Spatial Informatics Group - Natural Assets Laboratory in Pleasanton, Calif., conducted the research, a University of New Hampshire news release says. The findings were presented in "Greenhouse gas emissions of local wood pellet heat from northeastern U.S. forests" in the journal Energy, the release says. "Wood pellet heat is a new and growing heating alternative in the United States and has been proposed as a climate-beneficial energy source to replace fossil fuels. However, little work has been done to assess this claim," the researchers said in the release. Six years ago, Travis Sirois decided that with three of his children in college and unable to help him split firewood and put it in the cellar for the winter, it was time to do something different. "I asked around, and I was hearing great things at the time about pellet stoves," the Caribou resident said. "So I decided to buy one for my little house here, and I just love it. It heats the whole place pretty quickly." He finds that he is saving several hundred dollars a year by making the switch, but when he heard on the news that a fire had consumed the main production building at Northeast Pellets in Ashland this past summer, he wondered if the savings would last. "I was afraid that it would drive up the price a bit on us," he said. "That usually happens when there has been a shortage of something." 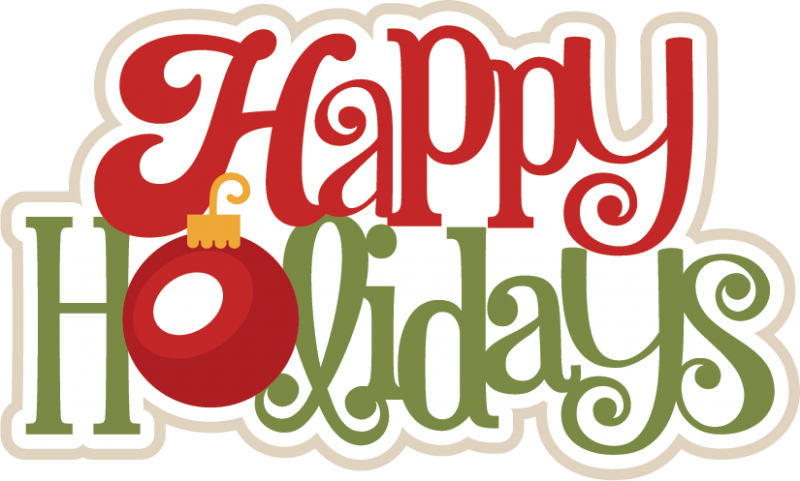 Happy Holidays and Happy New Year from PFI!